Although they were an integral part of the early Punk scene in London, the Slits were always very-much their own animal. Adopting the ethic of ideas-over-ability, the band chose to run as soon as they could walk, accepting every opportunity as a challenge (indeed, they went out as a support band on the ‘White Riot’ tour barely months after their first stable line-up had come together.) Regardless of early shortcomings, in Ari Up they had a natural front-person whose performances could be both fearsome and inclusive at the same time. Inevitably, playing behind such a striking character, the other band members were bound to be less-lauded but the reality was that The Slits were always about the entire band. Viv Albertine, Tessa Pollitt and Palmolive created the perfect sounds to give Ari the space for her delivery. Sharing a similar vision and similar intent, it’s hard to think of any other band who were able to explore their ideas and discover their own identity in such an open way, from the raw bursts of energy found on their Peel sessions, through to the accomplished punky-reggae party of the ‘Cut’ LP and beyond to the more eclectic ‘Return of The Giant Slits’ album. The band original existed between 1976 and 1982 (Palmolive left in 1979) but their reputation continued to grow in subsequent years. They became a particular influence / inspiration for the Riot Grrl movement during the Nineties and, in retrospect, even their later more experimental releases were reappraised and given appropriate credit. But it still came as a surprise to many when Ari Up decided to reform the band in 2005 and although Viv and Palmolive decided against participation, Ari and Tessa put together a new line-up, including drummer Anna Schulte, guitarist Adele Wilson and vocalist / keyboard player Hollie Cook. The band began to play live and released a new EP, ‘Revenge of the Killer Slits’, which were met with much enthusiasm. Over the next few years they toured around the world, performing new material alongside older favourites. The results were eventually seen in 2009 with the release of a new album, ‘Trapped Animal’, which met further acclaim and even found itself being nominated for Grammy Awards in both the Reggae and World Music categories. However, the bands’ progress was destined to come to an abrupt and unexpected end when Ari was diagnosed with cancer. She died in 2010 and, inevitably, the band ceased to be. However, this was not to be the end of the story. Despite having lived to cope with the traumatic loss of their friend, the remaining members of the band were not going to let the legacy fade away. Viv Albertine published her biography ‘Clothes…Music…Boys’ in 2014, much of which documented her involvement with The Slits. Shortly afterwards, it was also announced that a full-length documentary, ‘Here To Be Heard’, was in production with the involvement of Tessa, Palmolive and Viv. As well as telling the story of their early days, it would also use footage of the reformed band, bringing the entire story together. The finished results were released in 2017 and proved to be as close to definitive a statement as it would be possible to make. Anyone who has seen the film will already know the key part played by Tessa’s original scrapbook, which documents the bands’ early years. Unsurprisingly, much interest developed around the book itself and the documentary's director, William Badgeley, suggested that it should be published, which was subsequently done by Cadiz Publishing. It may be a by-product of the documentary, but the book is very much an archive in its’ own right and another essential overview of the band. Even before The Slits, you had been in a band called The Castrators. That must have only been for a short time, so how far did that band get ? Once you were given the opportunity, was it something that you felt you had to do ? One of the things that made The Slits stand-out so much was that, although very much a part of the early Punk scene, musically you never sounded like anyone else. Was that a deliberate intention, or was it something that just developed due to not coming from a more orthodox musical background ? Shortly before you recorded the ‘Cut’ album, Palmolive was asked to leave the band. After being together as friends and working together for several years, why did the rest of you decide that she no longer fitted-in ? 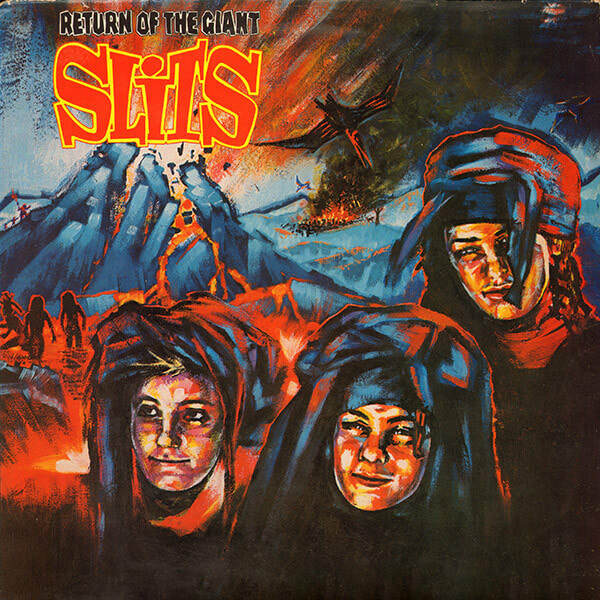 The band split in 1982, soon after the release of the second album, ‘Return of the Giant Slits’ on CBS. Did you decide that it had just run its’ course ? 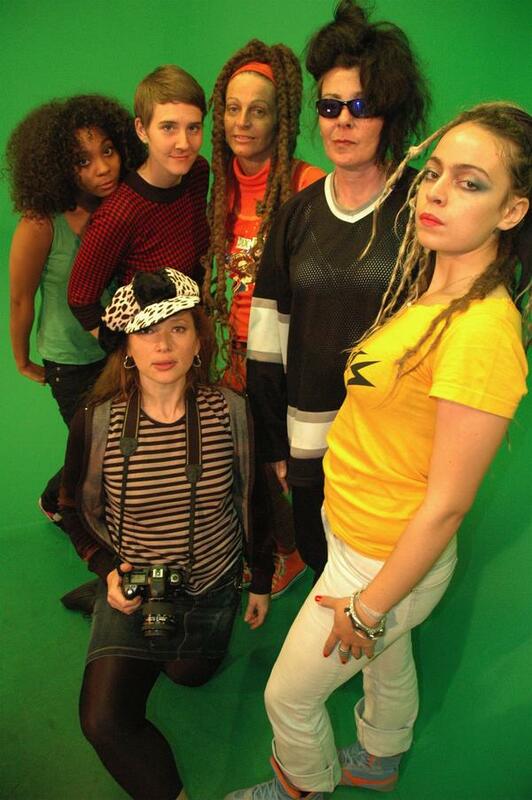 After The Slits split-up, did you continue to play any music between then and the eventual reformation in 2005 ? When Ari approached you in 2005 to suggest reforming The Slits, I’m guessing that would have come as quite a surprise ? ​ Did you feel any pressure that you had such a reputation to live up to when the band first started playing live again ? How did it feel to be playing those old songs again after so long ? Do you think that the documentary has helped to put things in a better perspective for you, personally ? It’s been nearly ten years since The Slits ended. Have you thought about playing music with anyone else since then ? As you said earlier, it’s been over forty years since The Slits first set-out to make their mark. How do you feel about all the ‘Punk’ anniversary stuff that happened over the past year or so ?